"I will be setting up my live instruments with your straps! Scott’s first successful band was Human Lab, who signed a deal in 2000 with Atlantic Records that was negotiated by Ian Montone (manager of Jack White). The band wrote and recorded a debut album with producers Michael Beinhorn and Mark “Spike” Stent in Henson studios, Los Angeles and Olympic studios, UK, but the album was never released. Searching for a more visceral, dangerous sound, and after leaving Atlantic Records in 2004 Scott Holiday started a new band with Thomas Flowers of Oleander called Black Summer Crush in 2005. The pair began auditioning musicians when Scott was introduced to Michael Miley and knew that he was the right fit. After trying several bassists, Miley suggested Robin Everhart, who joined the band. The band recorded together from 2006 to 2009. In 2008 the band released the song Lucky Girl that featured on 20th Century Fox’ blockbuster movie Jumper with Hayden Christensen, Jamie Ball, Rachel Bilson and Samuel L. Jackson. The band also played Przystanek Woodstock and soon after signed a deal with EMI. Scott Holiday was then introduced to producer Dave Cobb who became a writing partner for the new album with help from Michael Miley and Robin Everhart. 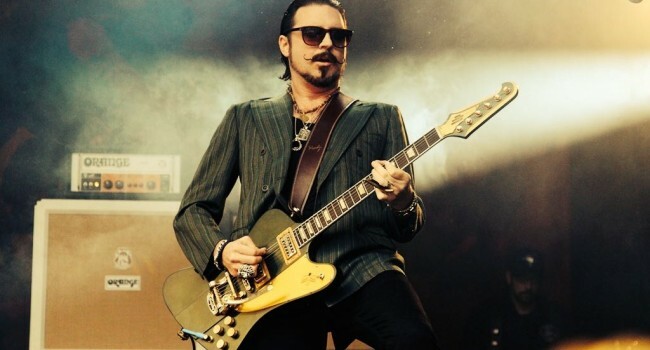 This was Scott Holiday’s first experience of writing on the spot that became a trade-mark of Rival Sons’ sound. The band re-recorded ‘Before the Fire’ with Jay Buchanan on vocals in 2009. He sang ‘On My Way’ in one take and from then on the band was Rival Sons.